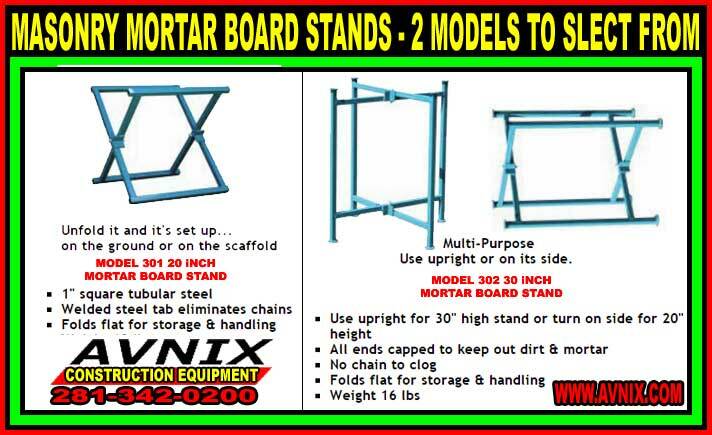 30″ Plaster & Masonry Mortar Board Stands are constructed of 1″ square tubular steel. Welded steel tab eliminates the need for chains. All ends are capped to keep out dirt and mortar. Use the stand upright for 30″ high stand or turn on its side for 20″ height. The stand folds flat for easy storing and handling. Multi-Purpose Use upright or on its side. Use upright or on its side.